March 24, 2017: Jealous 21, an exclusive women’s denim brand for the young contemporary girls from the house of Future Lifestyle Fashions, brings India’s first ever Free Jeans Day on the 25th and 26th of March 2017 at stores in Mumbai, Bangalore, Delhi and Chennai. The campaign is the biggest apparel experiential event, designed for the new-age trial generation. This is the first time in India that a brand will be seen carrying out an unique digital campaign on a large scale where they are inviting girls to try out their latest collection. With this initiative, Jealous 21 is giving an opportunity to the girls to get a first-hand experience of its products andbuild a strong bonding with the brand. Jealous 21 revolutionized the jeans market for women by launching “Hipfit Jeans” that fits every body type of Indian women. There are 3 hip sizes for every waist size. Hottie for slim hips, Hourglass for regular hips and Bootilicious for curvier hips.To complete the look, Jealous 21 also offers a wide range of fashionable tops in their Spring Summer ’17 collection – Boho Chic, Indigo Diaries and Floral Fantasy. For participating in the campaign, girls have to follow a simple procedure where they have to register on Jealous 21 website or Facebook to get their exclusive invite with a unique code, to visit the store. At the store, the girls have to take a selfie wearing any Jealous 21 garment and upload it, tagging @jealous21 and #freejeansday on Instagram or on Facebook and take away a free pair of jeans. Jealous 21, an exclusive women’s wear brand from the house of Futue Lifestyle Fashion Limited (FLFL) revolutionized the jeans market for women by launching jeans that fits every body type of Indian women. Fit is the primary attribute that any women look for when they buy jeans. To get the perfect fitted jeans, the hip and waist size have to be correct. 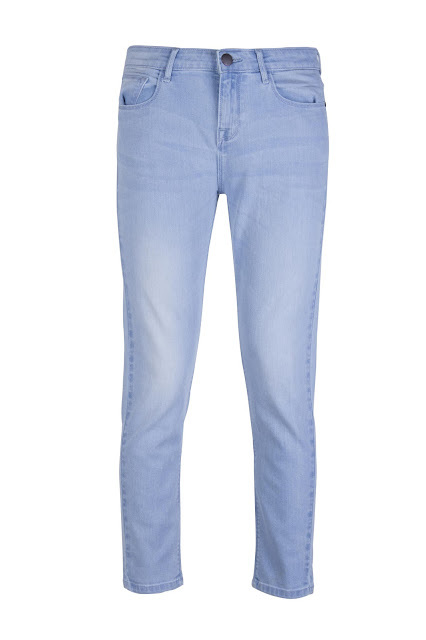 However jeans available in the market use a single hip to waist ratio. That was the real gap, which was addressed by Jealous 21 by introducing a unique concept of 3 hip sizes for every waist size. Hottie for the slim hips, Hour Glass for the regular hips &Bootilicious for the curvier hips. Matching the stunning range of denims is an equally stunning range of tops & tees. Oozing with oomph, this brand is designed to infatuate today’s young women.